Known for the outstanding Quality of Life offered in this fine city! Acworth has something to offer to one and all. One of the fastest growing cities in the state of Georgia. During this growth period the citizens of Acworth are lucky to have such an active city council and government to help protect the quality of life that Acworth is known for. 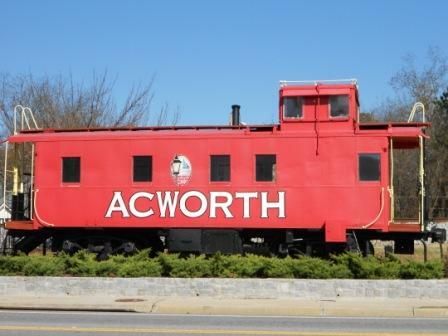 The city of Acworth just recently voted by the Atlanta Regional Commission as the No. 1 place to live in Cobb County. Acworth’s incredible location with easy access to I-75 & the re-birth of Historic Downtown Main Street with all of its shops and critically-acclaimed restaurants. Meanwhile, respected hospitals and medical care are close by and, on nearby Highway 41 the home of many national retailers. For the Acworth residents, the recreational opportunities are endless. The city has 12 parks and sits on the shores of both Lake Acworth and Lake Allatoona. There are beaches for swimming as well as room to boat, ski or fish. Cobblestone Golf Course sits astride the south shore of Lake Acworth and Cauble Park on the north shore plays host to the city’s free Summer Concert series. Meanwhile, the city’s parks and recreation department promotes thriving youth baseball, basketball, football and cheerleading programs. The city also provides exceptional education for those children in Cobb County’s acclaimed school system. Both McCall Primary School, and Barber Middle School opened their classroom doors in 2005, while Acworth Elementary opened their classroom doors in 2003.